Can you escape the Dead Island? Dead Island is a game that courted controversy right from the very moment its first trailer was released. 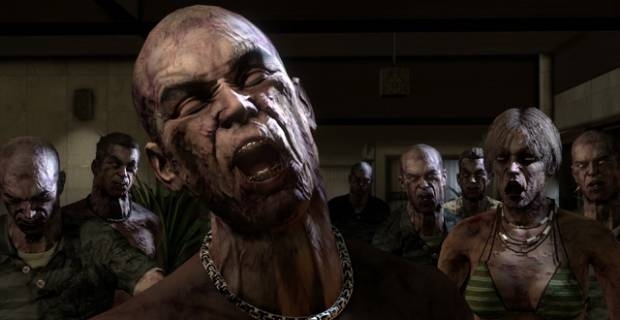 We're sure that many of you remember the backwards running trailer, featuring hungry throngs of the undead, hatchets and an innocent little girl from 2010, but it might surprise you to learn that the gameplay actually stands up to the hype. One of the keys to Dead Island's success is the fact that there's simply so much to do. Developers Techland hadn't exactly got the best reputation in the world prior to the release of the game, thanks to some very uninspiring efforts with the Call of Juarez series, however they seemed to get almost everything right with Dead Island. Zombie survival horror games certainly aren't anything new, so there were a few raised eyebrows when the game started to raise so much interest among gamers. Fortunately, rather than taking the tried and tested approach and opting simply for a first person shooter, Techland instead decided to take a leaf out of Fallout 3's book and incorporate some hugely popular RPG style gameplay components into the game's structure. It was an inspired decision and the way your character levels up continually pushes you to do more quests, rewarding you with precious experience points. The more you play the more of the game's titular island you'll unlock and the more value you'll get for your money. Dead Island is certainly not a small game, and that's something that needs to be remembered if you're the kind of person who likes to be able to completely a title over a weekend or two. Whether Dead Island is the game for you or not very much depends on how you feel about first person action RPGs like Fallout, Oblivion or Skyrim. While it can be slow paced at times, there are plenty of action packed moments, particularly when you find yourself being attacked from all sides by the undead, so there's definitely something there for every kind of gamer. For our money it's a game that you need to experience at least once though, so we fully recommend you pick it up.